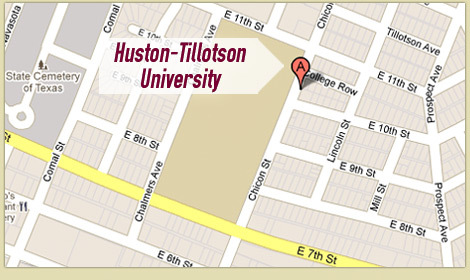 I am Dr. Robert M. Ceresa, and I joined the faculty at Huston-Tillotson University in the fall of 2013 as an assistant professor of Political Science. I studied at Florida International University, where I received my doctorate in international relations, and the University of Minnesota, Hubert H. Humphrey Institute of Public Affairs for my master’s degree in public affairs. I received a bachelor’s degree from the University of Michigan. I am a politics and international relations scholar with broad multidisciplinary training. I am interested in political development and participation, the effectiveness of community/civil society groups and organizations, and urban and ethnic politics (including Cuban Miami, diaspora politics). I think of myself as a political anthropologist of sorts. My research focuses on the role actors at the level of the local community or society play in shaping larger cultural environments. How cultural resources (race/ethnicity and political theory) are used in the context of civic and political engagement efforts, and the differences the choices make for politics, are central questions my research addresses. My interests and academic training build on professional experience I have gained in community organization, development, and education working in cities big and small in the United States, like Chicago and Miami, as well as Omaha, Nebraska and Pine Bluff, Arkansas.